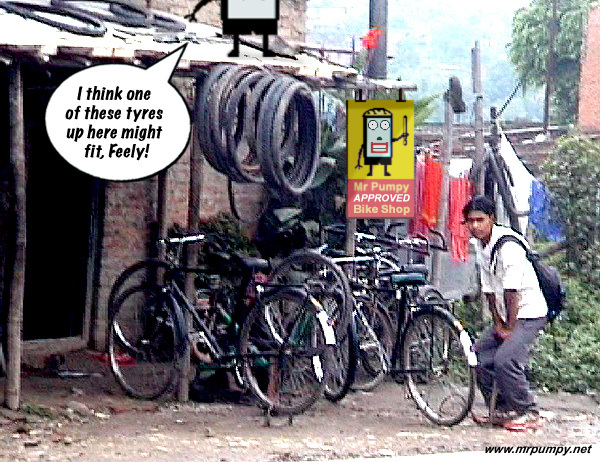 Above: Bike Shop, Nepali style! Pretty basic, but as Mr Pumpy says, 'Basic is good!' and he's not only talking about bike shops. I've never had a bad experience with these guys.